Watch as the developers take down a massive Eidolon in a new 22-minute gameplay video. 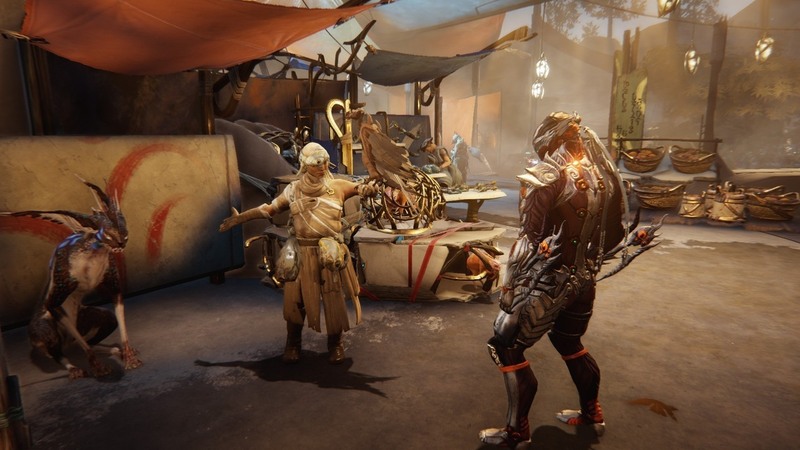 Warframe’s Plains of Eidolon update is almost here, and fans have been anxiously waiting to dive into the slew of new open world content. To satiate Warframe fans until then, developer Digital Extremes has released a new Plains of Eidolon teaser trailer, as well as a new 22-minute gameplay video featuring an intense battle against a massive Eidolon. The Plains of Eidolon teaser trailer was released alongside a Warframe developer livestream that discussed new gameplay elements coming with the update. Plains of Eidolon will bring an assortment of new features to Warframe that will reshape the way players experience the game. One major feature of the update is the new open world setting, which was showcased during the Devstream earlier today. You can watch a full 22 minutes of Plains of Eidolon gameplay footage in the video below. The Plains of Eidolon update focuses around a city named Cetus, a bustling camp that scavengers known as Ostrons have come to call home. 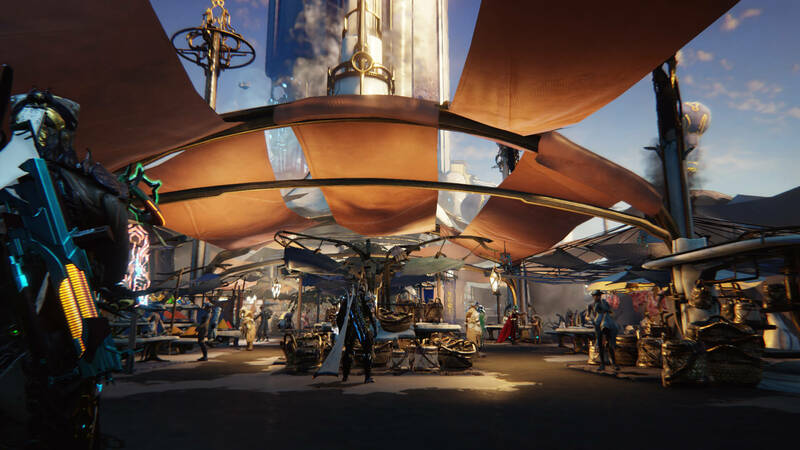 Vendor NPCs are stationed around the main social tower, offering new weapons and items for Tenno who want to spruce up their arsenal before venturing out into the plains. Players can look forward to fishing, mining, and exploring a brand new open world setting. 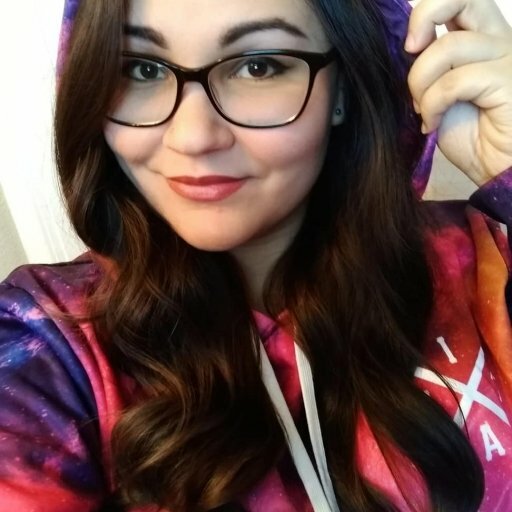 To celebrate the upcoming launch of Plains of Eidolon, Warframe has partnered with Twitch to allow players to earn exclusive loot just for watching their favorite live streamers play Warframe. The Great Eidolon Hunt is a limited-time Twitch Drops event that will run for two weeks after the release of Plains of Eidolon. All you need to do to start earning rewards is make sure your Warframe and Twitch accounts are linked ahead of time, then tune in to your favorite Warframe broadcaster on Twitch during the event for a chance to earn in-game loot drops. Exclusive decorations, cosmetic items, and even Prime gear are up for grabs during the event, so be sure to mark your calendars once Plains of Eidolon arrives. The team at Digital Extremes has been so hard at work on the Plains of Eidolon update, that there won’t be any more PC updates to Warframe between now and the update’s launch, according to a statement on the PlayWarframe Twitter. Digital Extremes first revealed Plains of Eidolon at TennoCon earlier this year, and the developers have since been busy preparing the update for launch. While there is no set release date for Plains of Eidolon just yet, the team assures Warframe players that it will arrive before the year is over. Stay tuned for more news on Warframe’s upcoming Plains of Eidolon!